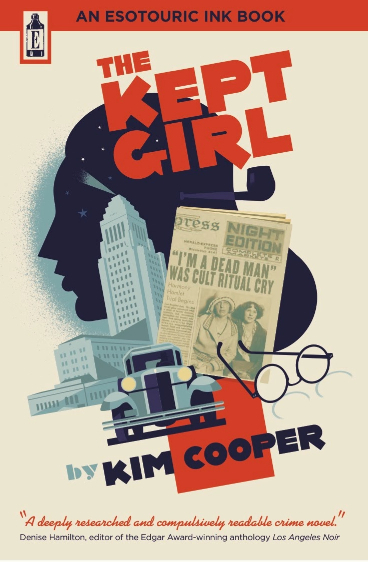 ABOUT THE BOOK: Kim Cooper‘s The Kept Girl is inspired by a sensational real-life Los Angeles cult murder spree which exploded into the public consciousness when fraud charges were filed against the cult’s leaders in 1929. The victim was the nephew of oil company president Joseph Dabney, Raymond Chandler‘s boss. In the novel, Chandler, still several years away from publishing his first short story, is one of three amateur detectives who uncover the ghastly truth about the Great Eleven cult over one frenetic week. Informed by the author’s extensive research into the literary, spiritual, criminal and architectural history of Southern California, The Kept Girl is a terrifying noir love story, set against the backdrop of a glittering pre-crash metropolis. To learn more about the book, visit the author’s blog. Read a sample chapter here. Noir fiction master Raymond Chandler was born in Chicago on July 23, 1888 and spent much of his childhood living in his divorced mother’s native England. He moved to Los Angeles in 1913 — and remained forever identified with the city, thanks to his short stories and novels where Los Angeles plays a central role. 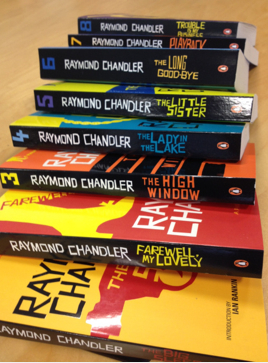 Chandler was 51 years old when his first novel, The Big Sleep, was published in 1939. He had spent many years as an executive in the oil business and, when he lost his job in the early 1930s (during the Depression, no less), decided to reinvent himself as a crime fiction writer. 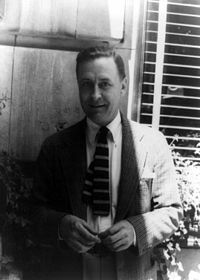 During the 1940s, Chandler worked for a brief period as a Hollywood screenwriter — his most notable contribution as cowriter with Billy Wilder on the film noir masterwork Double Indemnity (1944), which earned the two men Academy Award nominations. He spent his final years in La Jolla, California, just north of San Diego, and passed away in 1959. BOTTOM LINE: Chandler turned something commonplace (pulp fiction) into something extraordinary — bringing style, originality, and unforgettable prose to crime sagas and turning them into high art. Illustration by Scott Laumann, ALL RIGHTS RESERVED (Used by permission). Visit Scott’s website here. I love Scott’s illustration because it sets Chandler in his free-ranging Southern California milieu, yet the formally attired writer remains detached, distanced — as if tilting his head to get a perspective on the bleached out, gritty place he called home for most of his life. While Los Angeles has been called a city with a “history of forgetting”—with wide-scale demolition of landmarks and even entire neighborhoods—author Kim Cooper helps readers relive L.A.’s past in her captivating first novel, The Kept Girl (Esotouric, 2014), a book based on real people and events. Cooper—a social historian, nonfiction author, and historic preservationist—serves as our guide as we travel back to Jazz Age L.A., the summer of 1929, just a few months before the stock market crash that led to the Great Depression. It was a time when L.A. was starting to boom, thanks to abundant oil reserves and the burgeoning movie business—with dreamers and people who preyed on dreamers converging on the City of Angels to reach for the gold ring. 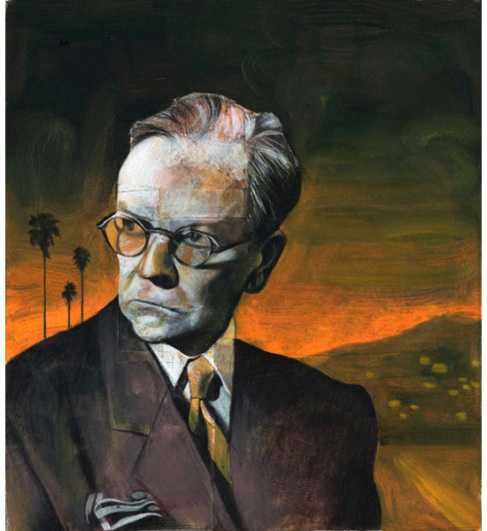 One of these California transplants was Raymond Chandler, who moved to L.A. after his years of service during WWI—and by 1929, he had lived in the city for a decade. As a 41-year-old oil executive, his fondness for booze and broads complicated both his professional and private lives—since he made a living as an executive in the oil business and was married to an ailing woman nearly 20 years his senior. Cooper’s novel reveals Chandler before he became L.A.’s premier chronicler of crime—the writer who more than anyone created the neon noir image of L.A. that the city has enjoyed ever since. 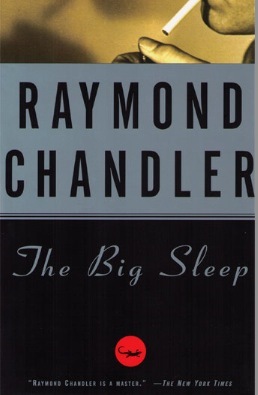 The Kept Girl—which takes place a decade before Chandler published his first novel, The Big Sleep, in 1939—offers a speculative history of how the author may have got his start as a purveyor of crime fiction. In Cooper’s telling, Chandler’s employer asks him to investigate a religious cult that has squeezed $40,000 from Clifford Dabney, the boss’s nephew. Chandler enlists his secretary/mistress Muriel Fischer and an honest cop named Tom James—believed to be the model for detective Philip Marlowe—to assist him in solving the crime. Throughout the story, the three protagonists deal with personal demons—including aging, sexism, alcoholism, and corruption—as they endeavor to crack the case of the Great Eleven Cult, headed by a shady mother and daughter who claim they receive messages and directives from angels. A range of gullible types fall for their spiel—mainly out of greed, since the angels promise to reveal the locations of the richest oil deposits in California. As P.T. Barnum said, “There’s a sucker born every minute,” and the L.A. of 1929 is much like a circus sideshow—with humanity in all its flaws, foibles, and hopes on full display. Cooper does a masterful job of pulling all the disparate parts of the story together into a riveting mystery. The big reveal at the end is worth the price of admission. So step right up and read The Kept Girl—you’ve never seen anything like it: history, social commentary, and an engaging mystery all in one tidy 274-page package. The Kept Girl is available in Kindle and paperback versions at Amazon.com. ABOUT THE AUTHOR: Kim Cooper is the creator of 1947project, the crime-a-day time travel blog that spawned Esotouric’s popular crime bus tours, including Pasadena Confidential, the Real Black Dahlia and Weird West Adams. 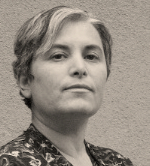 Her collaborative L.A. history blogs include On Bunker Hill and In SRO Land. With husband Richard Schave, Kim curates the Salons of LAVA–The Los Angeles Visionaries Association. When the third generation Angeleno isn’t combing old newspapers for forgotten scandals, she is a passionate advocate for historic preservation of signage,vernacular architecture and writer’s homes. Kim was for many years the editrix of Scram, a journal of unpopular culture. Her books include Fall in Love For Life, Bubblegum Music is the Naked Truth, Lost in the Grooves and an oral history of the cult band Neutral Milk Hotel. The Kept Girl is her first novel. L.A. historian/author Kim Cooper, renowned for her Esotouric bus tours into “the secret heart of Los Angeles,” recently completed her noir novel THE KEPT GIRL – and is offering readers a terrific opportunity to subscribe to the book’s first printing (details at thekeptgirl.com). The prestigious Kirkus Reviews recently featured THE KEPT GIRL in an article entitled “Eight Tales to Warm You Up for the New Year.” Mark your calendar for the launch party at Skylight books in Los Angeles on Thursday, 2/13/14. The subscription offer — available through early January 2014 — features a variety of benefits, including the subscriber’s name prominently acknowledged in all copies of the book, which will arrive enclosed in a limited-edition decorative slipcase. 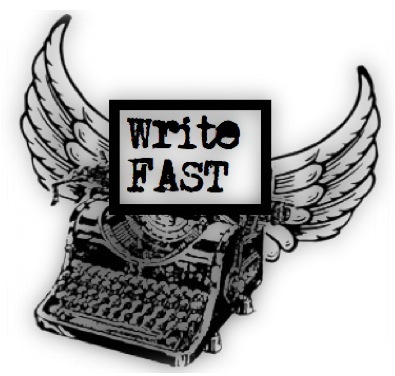 Book lovers, collectors, hardboiled fiction fans, don’t miss this chance to take part in a true publishing event. Considering all the benefits, this first-class publication is a tremendous bargain at just $65. ABOUT THIS PUBLISHING METHOD: The Subscription model of publishing flourished in England in the 17th Century. Instead of relying on a single regal (and often capricious) patron, authors and publishers cultivated a select group of literate, engaged readers and collectors whose support encouraged and enabled the publication of books that would otherwise be prohibitively expensive to produce. Through Subscription-sponsored publication, important atlases, geographies, and histories saw the light, along with great literature, including Milton’s Paradise Lost. ABOUT THE BOOK: Kim Cooper‘s The Kept Girl is inspired by a sensational real-life Los Angeles cult murder spree which exploded into the public consciousness when fraud charges were filed against the cult’s leaders in 1929. The victim was the nephew of oil company president Joseph Dabney, Raymond Chandler‘s boss. In the novel, Chandler, still several years away from publishing his first short story, is one of three amateur detectives who uncover the ghastly truth about the Great Eleven cult over one frenetic week. Informed by the author’s extensive research into the literary, spiritual, criminal and architectural history of Southern California, The Kept Girl is a terrifying noir love story, set against the backdrop of a glittering pre-crash metropolis. To learn more about the book, visit the author’s blog. Sign up for the newsletter to receive occasional updates. Read a sample chapter here.